Natalie K is a distinguished designer specializing in designer engagement rings, diamond fashion jewelry and wedding rings. 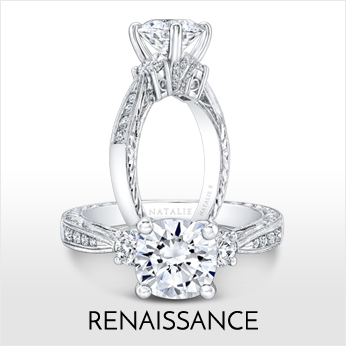 We carry one of the largest collections of Natalie K engagement rings in Los Angeles and Orange County areas of Sothern California. As one of the country’s most successful and revered jewelry designers, Natalie K is the designer engagement ring of choice, for today’s bride. View our extensisive selection and schedule an appointment in our store to come and try your dream ring on. 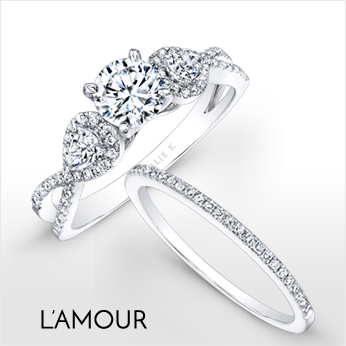 We will pair it with the diamond center of your choice to create the Perfect Ring. Visit our store at Coby Madison Jewelers located at 15710 Whittwood Lane, Whittier, CA. We are looking forward to meeting you.